According to a Pew Internet & American Life study, 53 percent of adults over the age of 65 use the Internet, with almost 70 percent of those users logging on daily. 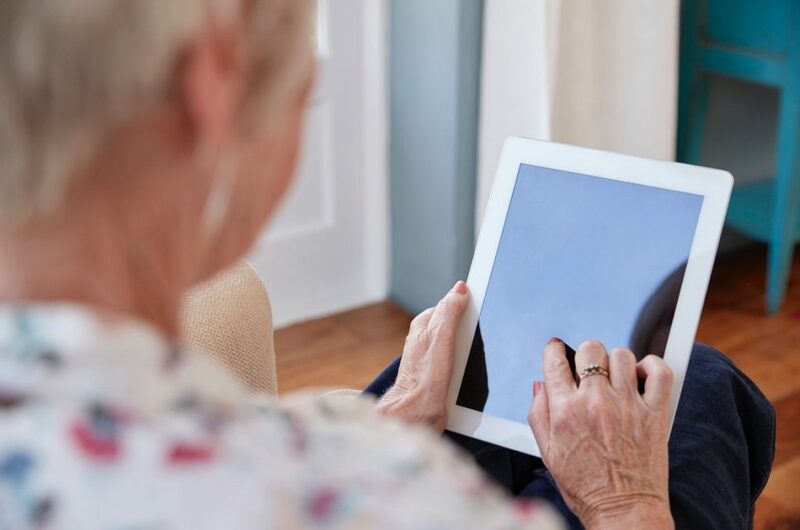 While the Internet offers many benefits to older adults – such as being able to stay in touch with friends and family – being online also poses unique risks for seniors. Here are a few tips for keeping your elderly parent or relative safe while surfing the web. Older adults, in particular, need to be aware of websites, pop-up ads, or social media messages that are designed to elicit personal information – such as bank account details, credit card numbers, and contact information. Many of these messages target seniors specifically and often contain fake offers for free vacations, gifts, prizes, and even discounted prescription medications. Other types of messages to watch out for are those that appear to be sent from government agencies like the IRS or the Social Security Administration. Such messages create a sense of urgency be threatening fines or jail time if a certain issue is not resolved immediately. Often, the “resolution” will involve providing personal information. Educate your parent about these types of messages and encourage him or her to research any unfamiliar websites or email senders before proving any sensitive information. Cyberbullying can be hurtful and harmful to Internet users of any age, but it can be especially damaging to seniors, who may be left feeling powerless and violated. These feelings are compounded even further by the sense of self blame. If your parent is being harassed or intimidated online by others, it’s important to help him or her understand that the bullying is not their fault and help them report the incident to their local law enforcement. A local senior center is also an excellent place to seek further advice and assistance concerning cyberbullying. Make sure your loved one creates a unique password for each of their online accounts. You’ll also want to ensure that each password has a combination of lower and upper case letters, numbers, and symbols. Make sure the passwords are kept in a safe place so your loved one can keep track of them and refer to them as necessary. An even better idea is to use a password keeper, such as LastPass, to store and organize passwords. By default, your parent’s wireless router may be unlocked. If it is, hackers may be able to connect to the wireless network and glean sensitive information such as bank card numbers, credit card numbers, and website passwords. If the senior citizen in your life has an unlocked router, help him, or her create a unique, strong password for it. You should also encourage your loved one to connect only to Wi-Fi networks they know and trust. So, you’ve downloaded an antivirus program and installed it on your parent’s computer. Now they’re all protected and ready to surf the net, right? Not so fast. Most antivirus programs require periodic updating so viruses can be effectively detected and blocked. Make sure your parent knows how to update their antivirus program to ensure they have the most up-to-date security definitions. Even better, enable the auto-update feature. Information posted online, such as home addresses, birthdays, and social security numbers, can be collected and used to commit identity fraud. Even worse, some hackers may create sites that seem to be legitimate at first but are, in fact, designed to trick seniors into giving up personal information. Make sure your loved one only provides personal information when absolutely necessary, and only on trusted, secure websites. An easy way to check whether a site is safe is to check the address bar. If the website address begins with https://, any data provided will be encrypted and, therefore, invisible to hackers. Important information, such as bank card numbers or credit card information, should never be provided on a webpage with an address beginning with http://. Many hackers use links embedded in emails and social media posts as a way to get into someone’s computer. Encourage your parent to avoid clicking links in emails from senders they don’t trust, even if the messages appear to be from someone they know. Remember, when in doubt, delete.